When I think of Italian food, the first thing that run through my mind was the fame Pizza from Italy. 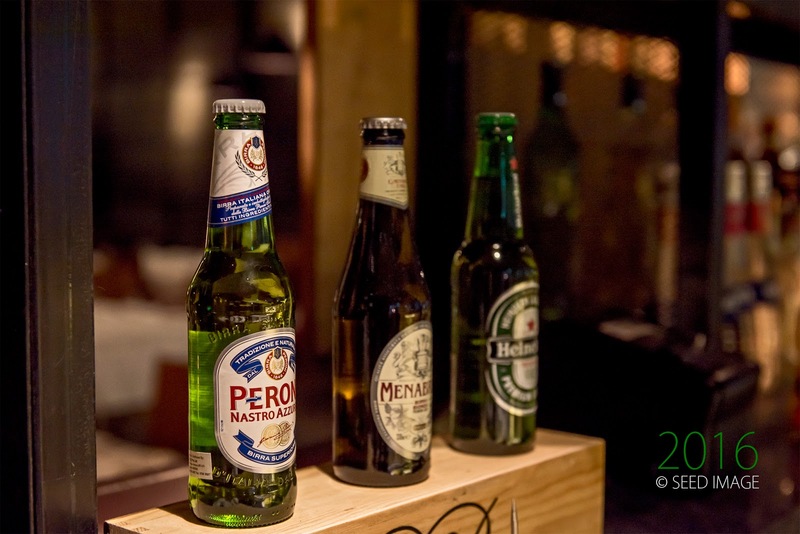 Recently, I had a chance to taste authentic Italian food at the Italian Bar and Restaurant, PerBacco. 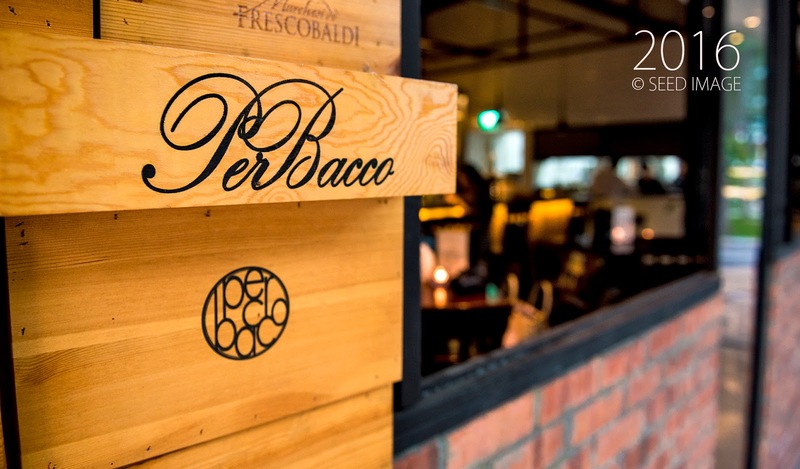 PerBacco refers to Bacchus, the Roman god of wine. Thanks to fellow blogger, Elaine and friendly, informative PerBacco's owner, Tony for the invite. In fact, this was not the first visit to this restaurant. 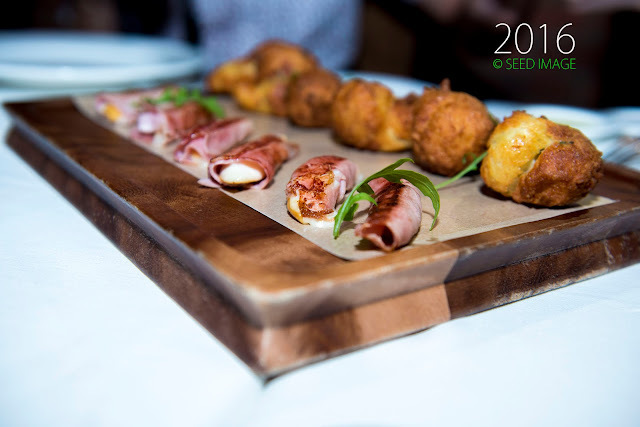 When I attended an event last year, Hunt for the Red Lion hosted by The Influencer Network, I had a chance to taste the Italian tapas served. I had a very good impression of the foods. 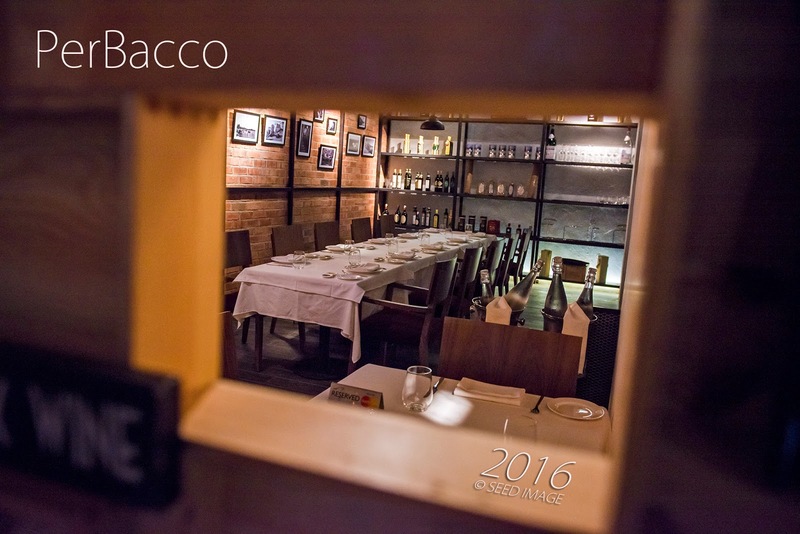 At that moment, I wished I can sit down and try out their various exquisite signature Italian foods and write a review for my blog. The dream came true and here I am, tasting and producing a food review. 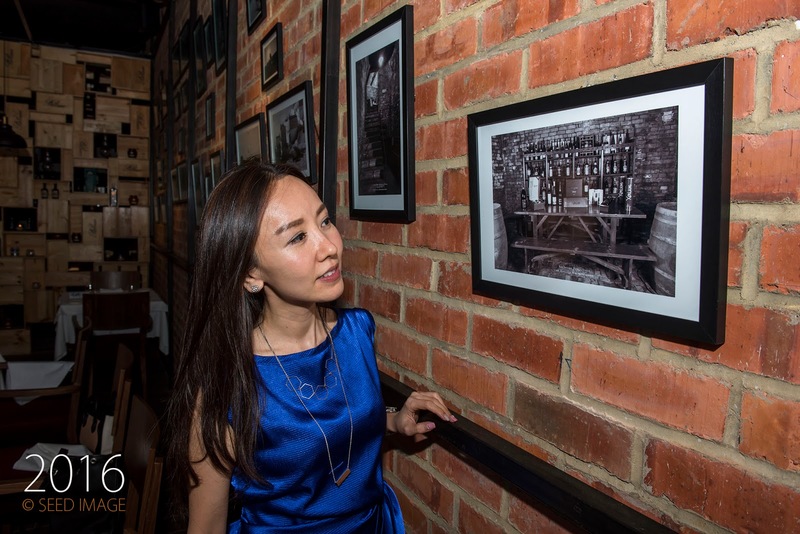 The restaurant is divided into two distinct areas. As you enter the premises, you will notice a bar counter with high chairs. Along the big windows area, a row of high tables and chairs. You get to enjoy the quiet road and the passing people. It reminds me of the setting of the European cafe which I have seen on Travel Channel ( unfortunately, I have yet to visit Europe. Waiting for sponsorship. ). 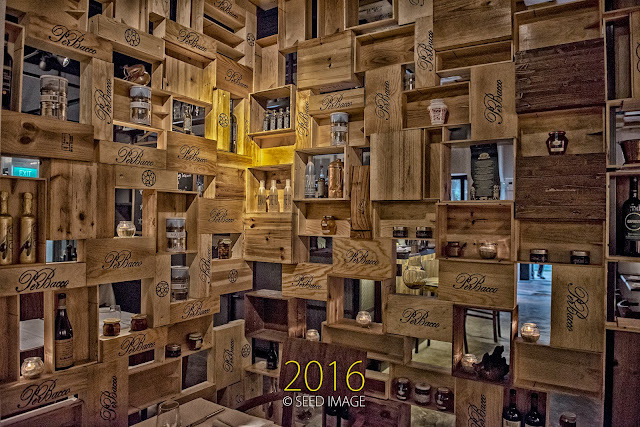 The dinning area was partially hidden by the wall of wine crates with custom printed restaurant name, PerBacco. 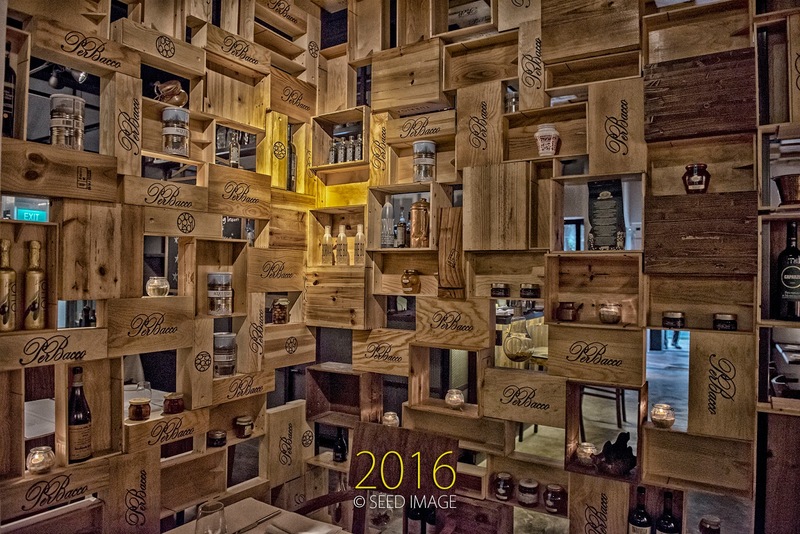 The same wine crates were also present at the front wall of the restaurant. A pretty neat and interesting decoration which also help to bring out the perfect ambience for the dinners. Fine foods must come with fine wines. PerBacco has a wide range of whiskeys, rums, unpasteurised beers, wines and other spirits in addition to the classic cocktails including the Manhattan, Negroni, and Spritz. The cocktails are made with premium spirits and yet affordable. Let us not waste any more time and dive into the food review. The food tasting session was divided into four groups, Antipasti, Pasta, Main Course and finally Dessert. For those who does not know what is Antipasti, it is the traditional first course of a formal Italian meal. I believe it the Appetizer in English. 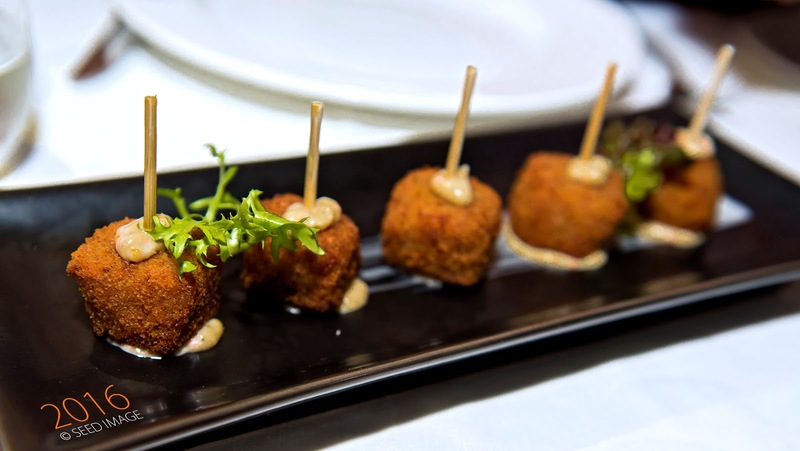 Starting with this crunchy, full-flavored fresh crab meat in Crocchette ( fried mashed potato, eggs and bread crumbs of Sicilian origin), in bite size which goes well with fine wine. A touch of spicy tuna sauce on top to awake your taste bud sensory. A good start for a good meal. Expectation running high. This looked like a value for money dish with two food varieties on one big platter. A bite into the cheese, rolled with salty Italian ham, creates a complete tasty yet creamy delight. It was simply heavenly. The soft Fritters with it's hollow center, remind me of a local traditional fried empty bun affectionately know as "Butterfly". Yes, the soft Fritters is mild and fragrance. A good choice for an appetizer. From the Italian name of this dish, I would already have fallen in love passionately before I put them into my mouth. 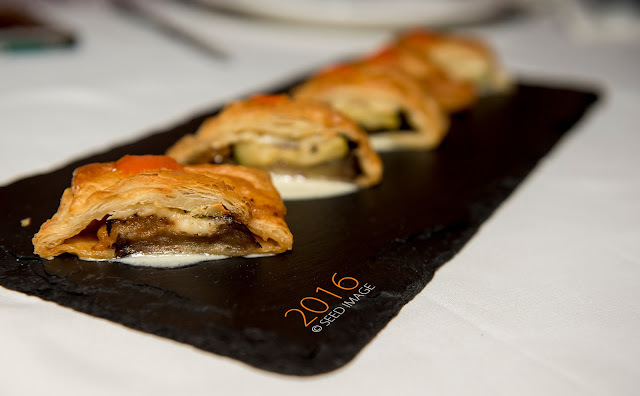 This layered pastry bring a new meaning to grilled vegetables ( eggplant ) which affectionately combined with traditional Strudel which were well known in the European food culture. For me, I only tasted my Apple Strudel before I tasted this ltalian Strudel. Go for it if you are a Strudel fan. We have now venture into the food territory of Pasta. 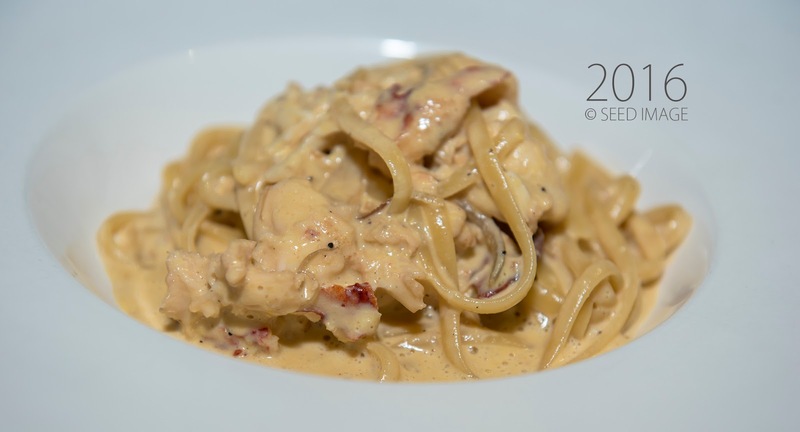 The under-cooked pasta ( Italian loves their pasta under-cooked ) brings out the texture together with the fine sweetness of the Boston lobster, making this dish my favorite choice. Somehow, with the added Carbonara, make me want to ask for another serving. I controlled myself as there many more dishes to taste and review. You should never share this dish with anyone. It will simply disappear in no time. 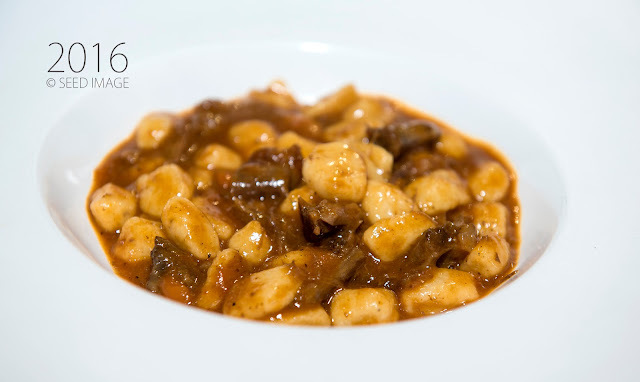 When you first put a spoonful into your mouth, the first thing you felt was the rubbery texture of the Potato Gnocchi. Potato Gnocchi was prepared using floor, egg and potato mixed together and kneaded into a dough. It was then cut into small pieces and fashioned with a folk to make it look round and flat. 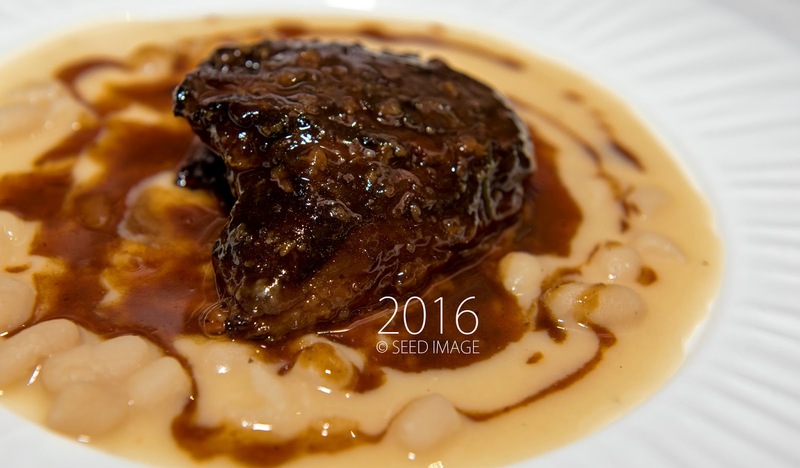 Together with the melt in your mouth Oxtail and flavorful Truffle essence, this winning combination dish, will be the one dish to look out for when you are at the restaurant. A must try dish. We have finally arrived at the main course. 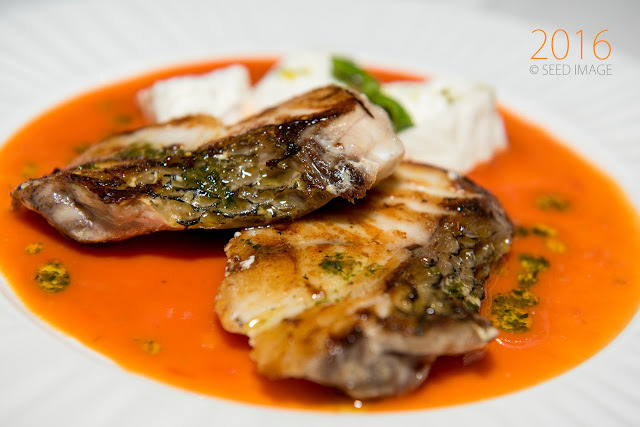 The fish was fresh and fragrance together with sweet cherry tomato sauce and the fresh Burrata ( Italian cheese made from mozzarella and cream ), makes this tasty dish, a winner. The Italian Cannellini beans provides a fluffy texture and a slightly nutty, mild flavour to this dish. Together with soft and silky braised veal cheek, a good combination to entice your appetite. At this point of food tasting, I was pretty fill up with food from the last few dishes. If you love cheese like I do, you will enjoy this dessert. 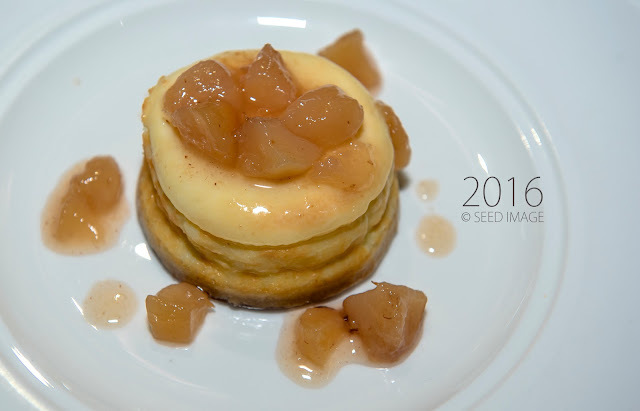 It is not your usual soft cheese tart but it has a slightly harder texture which I loved. With the sweetness of the peach toppings, this cheezy tart is another winner. Very well presented with beautiful tapering bowl. The sweetness of caramel together with the Pannoacotta, will keep dessert lovers very happy. I like the crunchiness of the hazel nuts. I do enjoyed the food, dinning experience and company of both old and new blogger friends during this food tasting session. 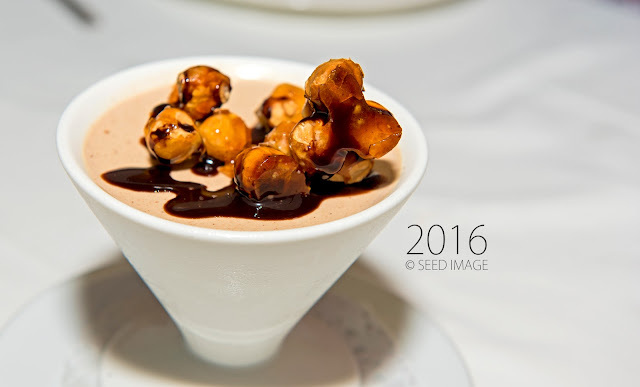 Looking forward for more food tasting sessions in 2016. 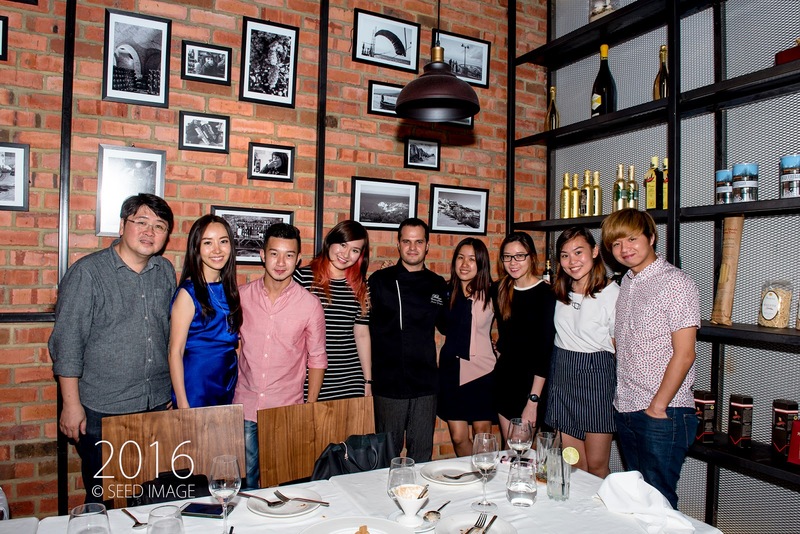 Thank you PerBacco Singapore for hosting this event. Very interesting post! Nice Italian Resturant & good food offering. This is the best resturant in Singapore. Thanks for sharing this post. I would like to share this post with someone. Very nice post! I really love this place. Thanks for posting.